Budweiser is such a weird one. Their marketing team does a hell of a job making things look American- they are staples at the Super Bowl, they sponsor Nascar teams, they constantly peg themselves as American, they even sponsor a music festival called Made in America. Their company sells 50% of the beer drank in the United States; you can't get much more ubiquitous. Not enough for you? 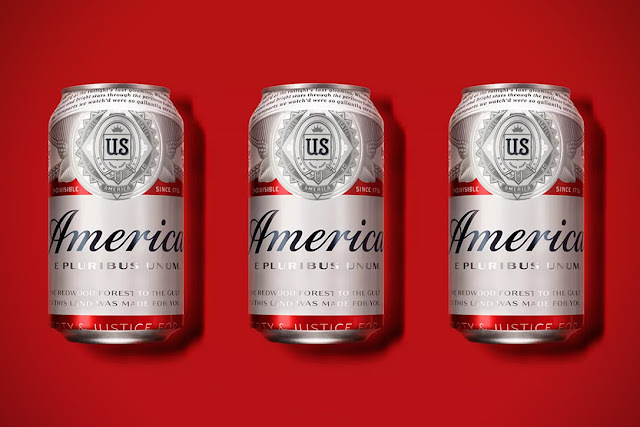 This year the company got permission to change their name to "America Beer" and all of the packaging until the election will have "America" in place of "Budweiser" on it's packaging. That's how "patriotic" they are. 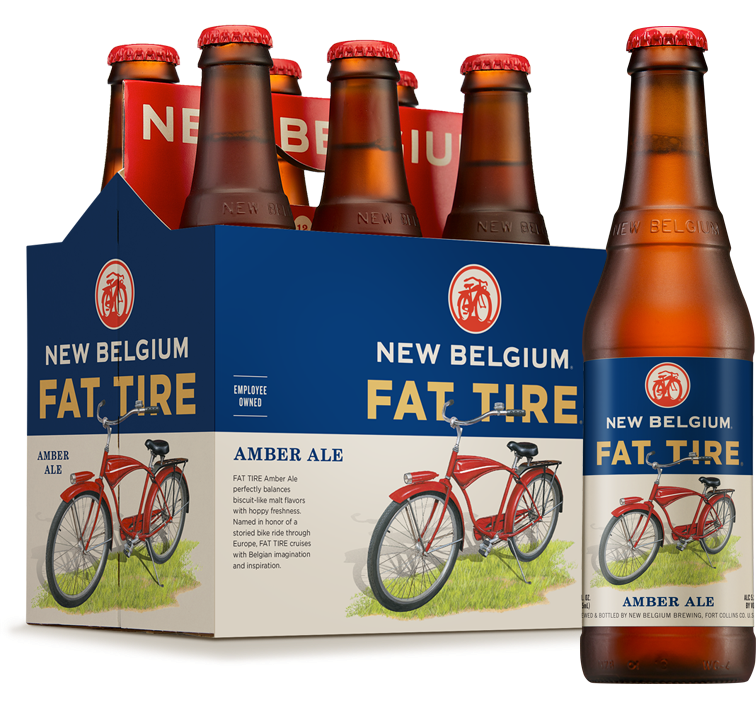 But of course, this isn't an American Beer anymore (or else why would I be writing this?). The money spent on this beer heads straight out of the country. 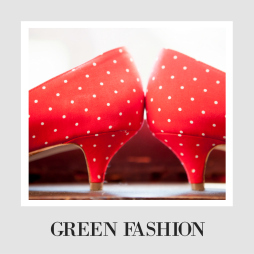 The company started in the United States in 1876, so they have certainly been around the block. They also include Corona and Stella Artois. The company- Anheuser-Busch InBev- is based out of Belgium and Brazil. These two bought Budweiser out in 2008. This company is huge, and their many brands make up 25% of the global market share for beer. Pretty impressive. They are also now owners of beer brewers in China, and they are trying to take over the market there as well. In fact, the brewing of the Anheuser-Busch beer is starting to move to a brewery in China as well, so the money is going, and if we let them, the jobs will go too. Boo, Budweiser! I wincey face at you! So, short version, if you want to keep your money in the United States, Budweiser isn't the beer for you, no matter how many commercials they buy for the Super Bowl. Beer as an American institution is obviously a big thing, and lots of people care about it, so you can get really good information about how to tell if a beer is brewed in America. I like this How To best. If you can't live without your BudLight, at least do your research and buy the beer brewed here. As a side note, I am not much of a drinker, and when I do drink I want it to taste as much like fruit juice as possible. So I can't comment on the taste or quality of beers, because I mostly still make a toddler icky face when I drink them. No shame, but it is important you know you are not dealing with an expert here. Still, the options here are so epically long, I can at least put some out there for you, and you can comment with which beers you like best! 1. Buy your Beer Local- Beer turns out to be one of the most local things you can buy in America. There are over 3000 breweries in this country. So many cities and regions have their own craft breweries. You can look up what is near you by using this craft beer map- I love this! You may not even realize it is a local thing unless you get out of town and can't find it. 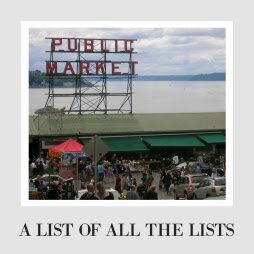 Seattle fits this description to the extreme, and you could probably drink only local beers your whole life and still miss a brand or two. Trying your local beers can be a new (delicious) challenge, and you will support the local economy and short shipping travels! Learn more about supporting your local breweries here. 2. Brew it yourself- Homebrewing may seem trendy, but like anything where you are making your own food, it is also eco-friendly! You learn a whole new set of skills, and you can brew your own beer to get it exactly how you like it. Curious about starting? Read more about what you need to start here. We just went to a dinner where the hosts had brewed something specifically for the birth of their daughter and Mommy's glorious return to alcohol. I think that is pretty awesome. 3. 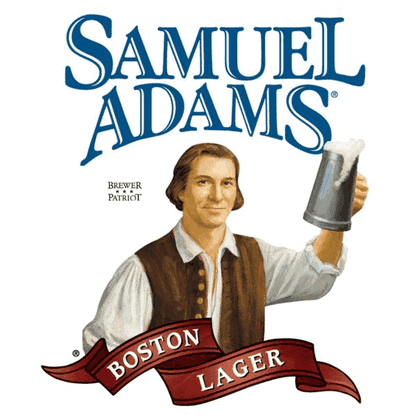 Samuel Adams and Angry Orchard- From the largest craft brewery in the United States, these beers and ciders are made by Boston Beer who have breweries in Boston, Pennsylvania and Ohio. If you are named after a founding father, you should probably stay in the US. Luckily, this company did. We generally buy Angry Orchard when hosting, because The Boy likes the ciders. They also have cool programs to support small breweries in America (a big difference from "macro-brewery" Budweiser, who actively antagonizes American brewers). 4. 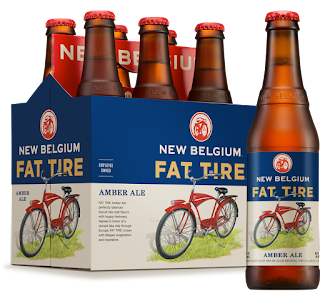 Fat Tire- Made by the New Belgium Brewing Company based out of Colorado. This ale has gained a lot of momentum in the past ten years, and at least on the West Coast, it is pretty easy to find. Even cooler? It's employee-owned by it's 480 employees, and they will employ another 154 Americans when their second brewery open in Asheville. Awesome American success story. 5. Sierra Nevada- Based out of Chico Calfornia, this brewer has won awards for their green practices and sustainability. Their pale ale is the second best selling craft beer in the US, so you can find them most anywhere. They have been around 30 years and are credited with starting the whole craft-brewing trend. I could keep going- if America has 3000 breweries, you have about 2,997 more options of beers out there. You can visit and support amazing breweries across the US. I can name breweries or beers in most of the places we visit, which I think says a lot since I am not a beer drinker. 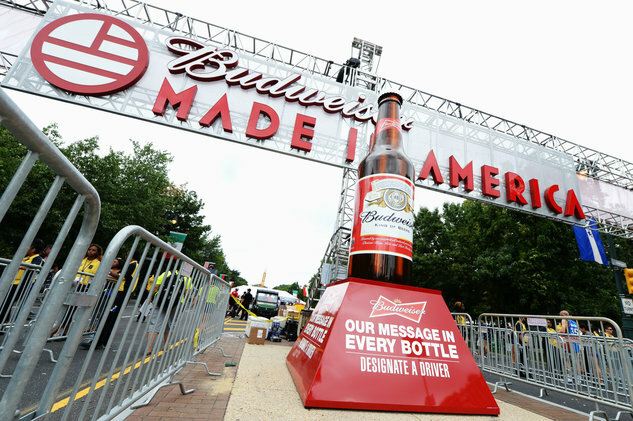 It may seem strange at first to step away from Budweiser at first, but you might find something really great!